So glad somebody finally said this. It’s all very coy, quaint, formulaic — and leads to the ridiculous faux-Romanticism of things like Starbucks and Panera. It’s also entirely infantile, in the most Freudian of ways: “look…I made this.” Every effort is not art; every worker is not a craftsman. And that is the second and more insulting implication of these “artisanal” lies: they suggest the paying of false honor to the often less educated and thus provide self-engineered forgiveness for those who throw their disposable incomes to “this really great local” whatever whilst still tearing through Costco every other Saturday. Damn, once more the commenter does better than the original. thanks! Protagonist immerses themselves in corrupt world – protagonist undergoes crisis of conscience and wanders in the wilderness — protagonist finds pure unadulterated self and true vocation in slightly self-absorbed way: this is the classical formula of hagiography, no? Rex, brilliant, branding as hagiography, you have created a new approach. One can’t ignore the brilliance of this intersection and the role of icon(ography) central to both. 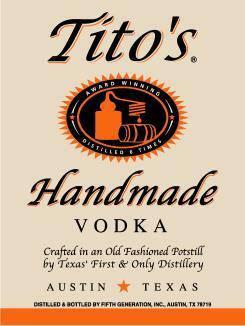 founder, owner, distiller, Tito’s HANDMADE Vodka! It’s also worth mentioning that Sailor Jerry’s rum is also fantastic. It’s the real stuff. The issue is authenticity. But digging into the story behind these 2 brands I come to a different conclusion. This comparison seems more about authenticity vs borrowed authenticity. 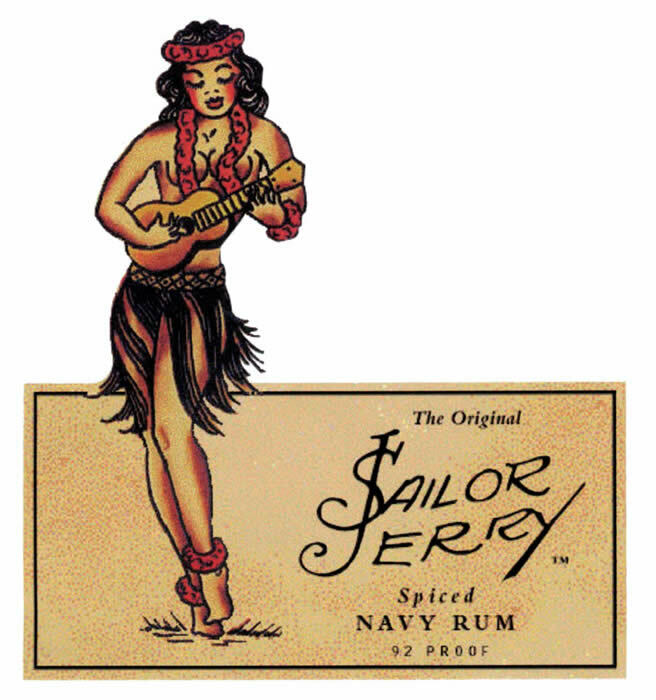 I dig the heck out of the Sailor Jerry visual identity. But from the little I know about these 2 brands I’d say this: one brand bought someone else’s authenticty while the other is slowly building his own. Which seems more authentic and worthy of a respectful story when belly up at the bar: a professional marketer buys the estate of a tattoo artist Jerry Collins, crafts a brand around that purchase, and sells rum, ashtrays, playing cards, shoes and other shwag? A marketer who co-opts “authenticity” by making a purchase? Or on the other hand a guy, Tito, who is trying to build his own story from the ground up by what he has created himself? Not to knock the Sailor Jerry brand. Again I dig the heck out of it. And I respect what that Philly marketing agency has been able to build and accomplish. But if you are talking about authenticity: it is built on the foundation of someone else’s authenticity. They didn’t create Jerry Collin’s authenticity: they promote it. I’m sure Tito’s story isn’t as vivid as Jerry Collin’s. But then again, Tito actually has to live his story. Maybe he should consider buying the estate of someone more colorful than himself and subsume that identity? Ha. Really a colorful life and brand is his for the making. Digging your blog Grant. Bookmarked.